Stop bribery schemes and prevent violations of anti-corruption laws. Your anti-bribery, anti-corruption compliance program probably has the basics covered – training programs, hot lines, vendor credentialing. But data silos and manual processes create risk where non-compliant spending and behavior can fall through the cracks. You need an automated approach to operationalize compliance. 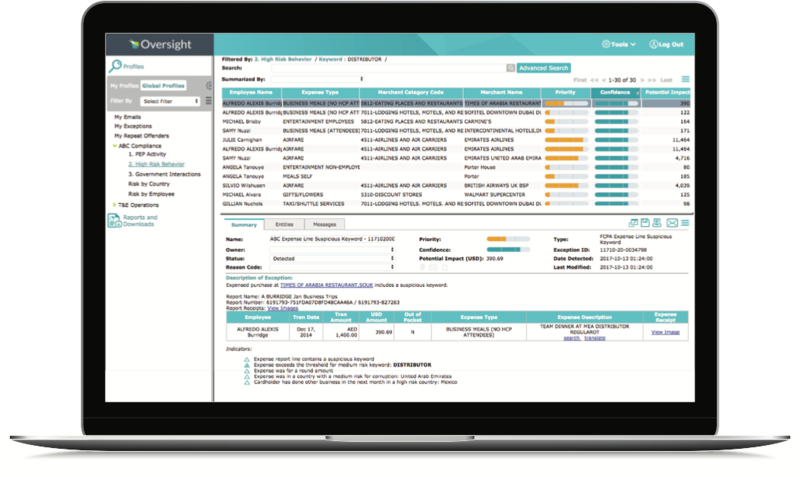 Oversight Insights On Demand inspects your transactional data and detects potential compliance violations to combat bribery and fraud. 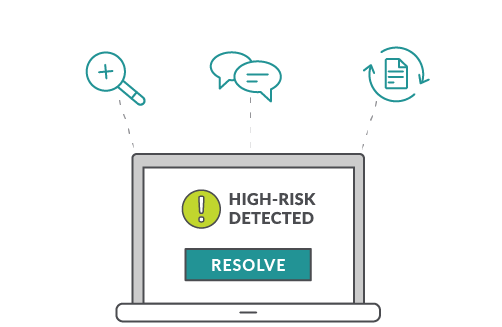 Fast and accurate detection of compliance risk. Automated, continuous transaction monitoring can mean the difference between exoneration and facing criminal and civil charges. Anything less than Oversight’s comprehensive transaction monitoring can put global businesses at risk. 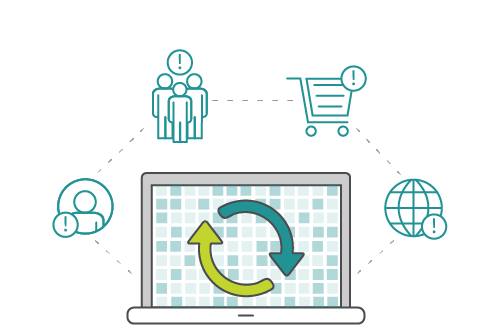 Resolve possible compliance violations faster. Find bribery and corruption risk. "Utilizing Oversight gives executive management, our audit committee, and others throughout the organization comfort that there is an additional level of review over these transactions."